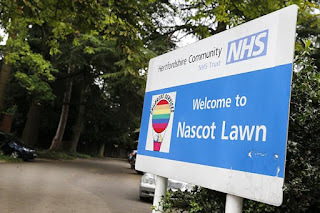 Following on from the previous post on the devastating situation with the intended closure of the Nascot Lawns childrens respite centre, below is a quick update and some links to further information. We had scheduled an interview with Richard Harrington MP for Watford a couple of weeks back but this was unfortunately postponed as Richard felt that the interview might jeopardise the discussions being held with CCG and other authorities involved. Here is the recent announcement made by Richard of his progress so far. What is known so far having has a brief conversation with Marlene Rhodes is that not much has happened since the announcement. Preparations for alternative provision of services has not really moved from the starting line, and most parents haven't even had their 'assessment interviews' scheduled as yet. It is no real wonder that Richard has secured a 3 month extension of the closure date (October 31st orginally) to the end of Jan 2018. Anything less than a postponement would have proved a disaster for the families and the existing 'overstretched' community / health providers. As stated in the last post on Nascot Lawns, no one has thought this through at all. It may well be that the Nascot Lawns site would provide a much needed one off injection of cash... but at what cost to the families who use the centre and to the social / care services that will have to pick up the slack? It smacks of ... "well that's off my budget, someone else can pick it up now... not my problem". Same old story of pass the buck until we're buried in bureaucracy, red tape, and endless fruitless discussions. Surely finding an alternative site (on perhaps less desirable development land) to continue the service provision would be the most desirable solution. Perhaps some of the fund generated from this 'transaction' could be earmarked to do just that. Let us hope for all concerned that Richard and the other MP's continue to pile on the pressure. A real chance to deliver what the people want here rather than what the 'numbers people' think adds up on a spreadsheet. You can keep up to date with all the developments as they happen over on the Save Nascot Lawns Facebook page here... featured also on BBC Radio here. The campaign recently had a supportive and much needed Guest blog from Amanda Batten - CEO of Contact a Family. Via the Facebook page is a petition to support the campaign if you haven't signed it yet please do pop over there via the link above and give your support. This campaign needs everyone of us behind it. Who should we be voting for as Mayor for Watford?